Situated on 250 acres across the Mississippi River from New Orleans, TPC Louisiana was designed by a man who knows how to turn a site with limited topography into a beautiful and compelling test of golf. Pete Dye, who created the flagship layout for the PGA TOUR, TPC Sawgrass, was called on again for another challenge. TPC Louisiana is now host of the PGA TOUR event, the Zurich Classic of New Orleans. "Mr. Finchem asked me to do this, and I think I know why," Dye says, starting to chuckle. "He finds a flat site and then he calls me. But I appreciate the confidence he has in me, and, what the heck, I still love digging in the dirt. Dye worked in conjunction with Steve Elkington and Louisiana native Kelly Gibson, both TOUR players, to create a 7,300-yard, par-72 golf course that sits low on the property and utilizes natural vegetation, including numerous cypress trees. One of the most attractive features to the property is that it's self-contained, surrounded on three sides by drainage canals. "It's an engineering exercise and a design exercise that Pete Dye has experience with and has been successful with," says John Hugghins, national director of golf operations for Tournament Players Clubs. "The site is similar to Sawgrass, so that's a challenge, yet Pete's approach is about simplicity and I think that's going to come out in the design. Then you have the privacy factor by the natural landscape. It's going to be like a private nature preserve." Dye, working on his third TPC course (the other is TPC Virginia Beach, which opened in 2000), built relatively flat and small greens -- no more than 5,000 square feet. Because of the modest green complexes, the bunkers were set off from the putting surfaces with chipping areas between. "We don't want the bunkers right up against the greens," he says. "We want to have a different look, maybe a little optical illusion, and a different strategy to the holes." In addition, Dye installed numerous waste bunkers. Some 20 acres of the 80-plus acres of playing area were covered in sand. The water hazards had to be created. The course offers four sets of tees, and even though the championship course stretches to 7,300 yards from the championship tees, Dye is pleased about a collection of short but challenging par-4 holes that complement some of the longer ones. "We've got some pretty nice, short par 4s that are really going to be the heart of the golf course," he said. Hugghins believes that the New Orleans community will take this TPC course to heart. "There hasn't been an upscale golf course there in a number of years," he says. "The response from the folks in New Orleans has been strong. They're looking for good golf and we're going to deliver that to them." Please call 504-436-8721 for current rates. Proceed to I-10 East from New Orleans International Airport and merge onto interstate traveling east towards New Orleans. Exit Interstate 10 at Clearview Parkway - South and proceed in a southern direction on Clearview Parkway. Cross over the Huey P. Long Bridge and continue traveling on Highway 90 Westbound towards Avondale/Boutte/Houma. Upon crossing the Huey P. Long Bridge, turn left at the second light which is Lapalco Boulevard. The Club is ¼ of a mile on the right. Take the Greater New Orleans Bridge over the Mississippi River to the Westbank Expressway ( US Highway 90). Stay on Highway 90 passing through Marrero and Westwego. Continue driving until you reach the light at Segnette Boulevard, the traffic light adjacent to the Alario Center. Take a left onto Segnette Boulevard ( Alario Center) continuing to the first traffic light at Lapalco Boulevard. Take a right onto Lapalco Boulevard and the Club will be 1½ miles on the left. Exit Club Entrance by turning right onto Lapalco Boulevard. Turn left at the first intersection. This will be Segnette Boulevard. Travel on Segnette to the intersection of the Westbank Expressway (first and only intersection). Turn right onto the Westbank Expressway. Continue on the Expressway all the way across the Mississippi River Bridge. Once over the MS River Bridge, take the Camp Street exit staying in the left lane of the exit. Proceed to Poydras Street where you will take a right. 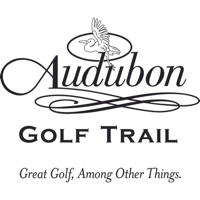 Call 504-436-8721 for rates and tee times. Contact TPC Louisiana at 504-436-8721 for more information and details on holding a golf outing at the course. Contact TPC Louisiana at 504-436-8721. Contact TPC Louisiana at 504-436-8721 for onsite or nearby dining options. This profile was last updated on 02/08/2019 and has been viewed 6,741 times.